The weather is looking fine and the view is even better so fancy a bit of a fun LIVE MUSIC session with the legendary Laisa Vulakoro this Saturday afternoon 6th April? Of course you do! Dolphin Island lies within one great outdoor playground and we have selected two unique adventure experiences for you to explore and enjoy on our Intrepid Dive & Hike package. A three-night stay as the only guests on Dolphin Island, your very own private island, with accommodation on a double- occupancy basis in a beautifully appointed Guest Bure. A two-tank diving adventure with dive master, in the clear, warm, pristine Bligh Waters full of an amazing variety of tropical fish and the signature hard and soft corals that make this diving spot world famous. An all-day outdoor adventure involving transfers by private vehicle and a guided walk to explore the unspoiled beauty of the Nabalese Waterfall, and the intriguing Wailotua Cave. Return transfers by private vehicle between Nadi and your embarkation point to Dolphin Island, Wananavu, and boat transfers to and from the island. 01 April 2019 – 31 March 2020 inclusive = NZ$2,500 per person, per night, with a minimum three-night stay required. The tank diving adventure is only available for certified divers. You may choose to travel by helicopter or by seaplane both ways. Prices can be advised accordingly. While every effort is made to provide this package in the form in which it is currently published, there could be last- minute changes due to circumstances beyond our control. Official times and results from the inaugural Suncoast Ocean Swim 19. 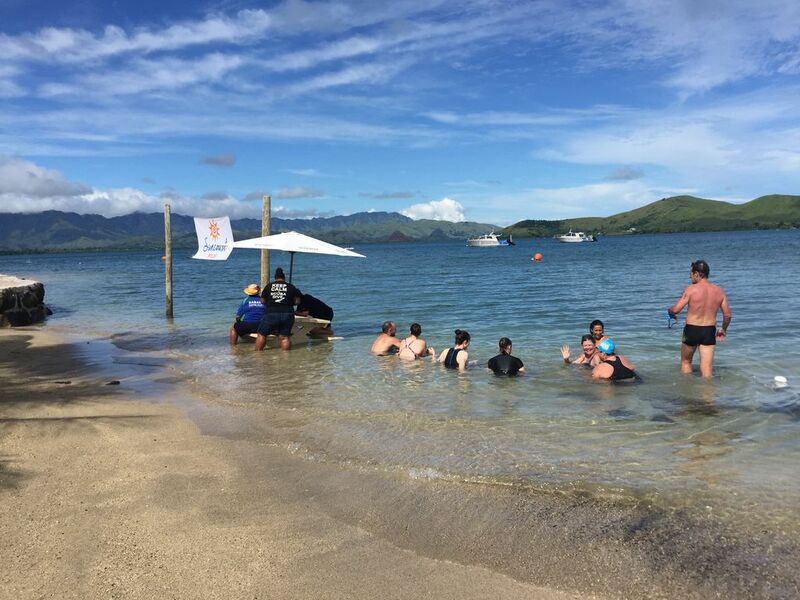 A little video of this beautiful day on Fiji’s Suncoast for the inaugural Suncoast Ocean Swim 19 held on Saturday 23rd March 2019. 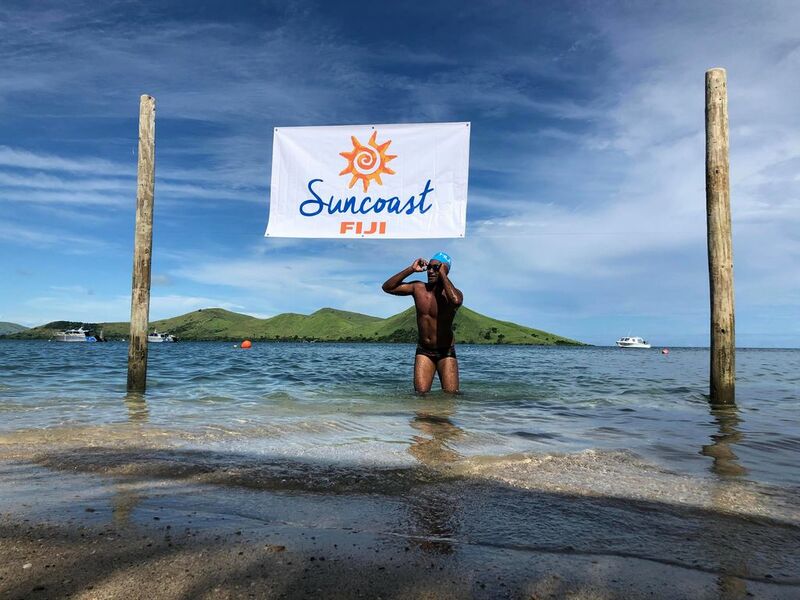 It was a beautiful day on the Suncoast for the inaugural Suncoast Ocean Swim 19 held on Saturday 23rd March 2019. Around 40 participants took part in four different distances (500m, 1km, 3km and 5km) on a stunning course looking out to Malake Island and the Nakauvadra ranges on the mainland. The various distances provided something for everyone with some of the more serious swimmers testing themselves with the longer distances while social swimmers and those that hadn’t been in the ocean for a while stuck to the shorter distances! 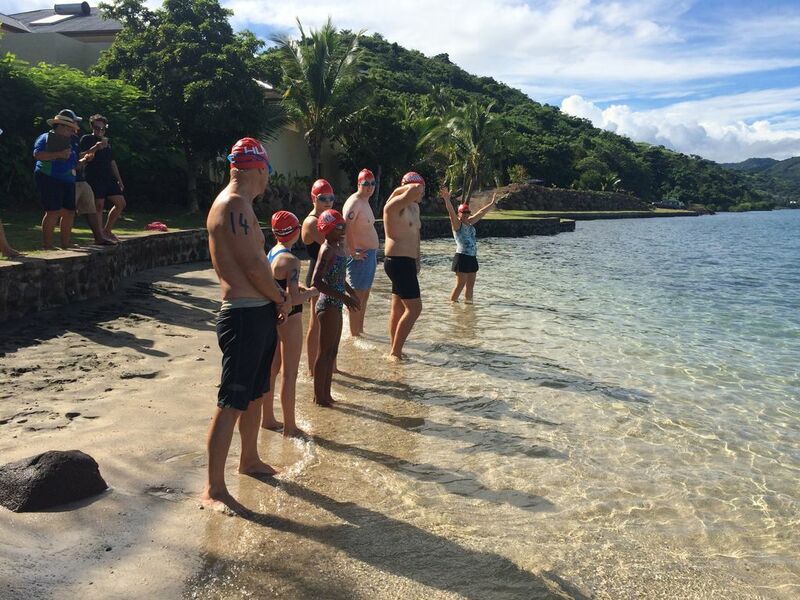 It provided perfect training for the Pacific Games ocean swim that will be one of the events in Apia in July 2019. 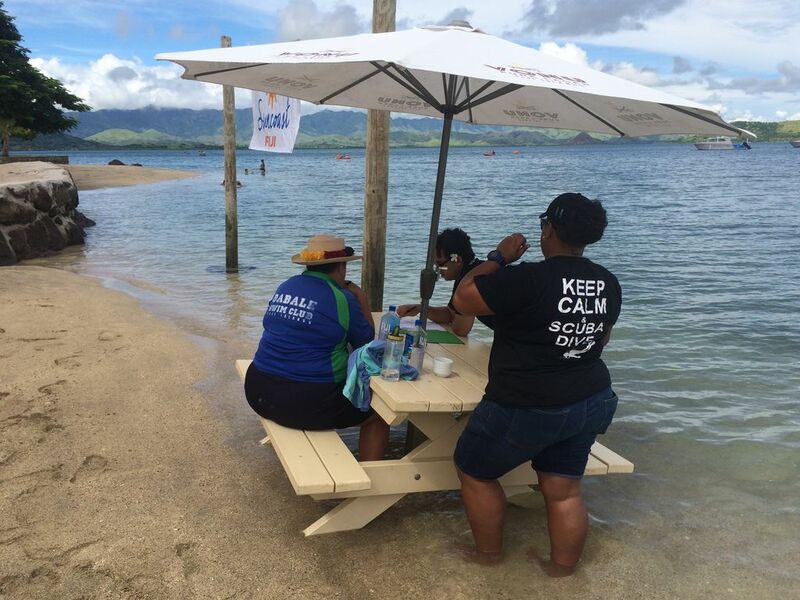 The winners of the 5km ocean swim at the weekend, Matelita Buadromo and Jeremiah Faktaufon, will need their times confirmed officially but stewards at the event unofficially shared that they had met the qualification standards required. 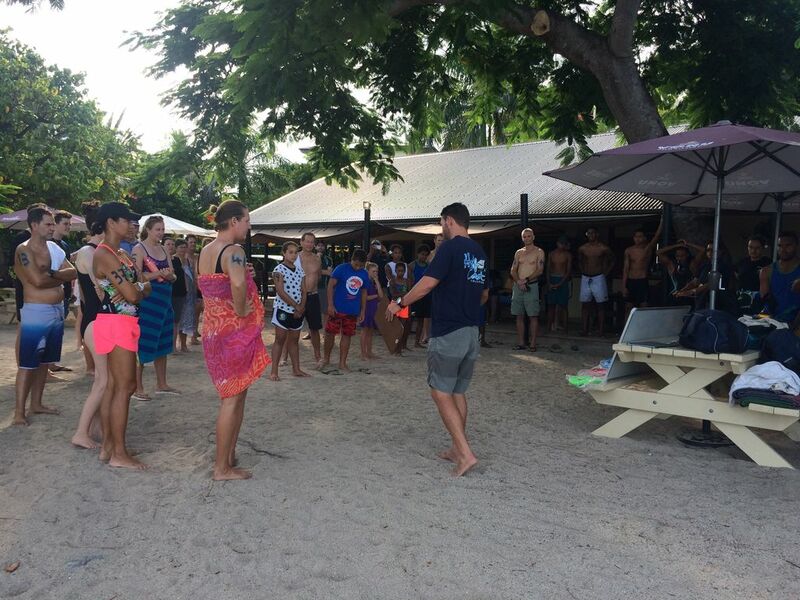 Volivoli’s “Ra Bar” on the beach provided the perfect relaxed setting for the event, as well as a great barbeque lunch and some post-swim hydration. Participants and their supporters relaxed in hammocks, sun loungers and the ocean while awaiting the official results and prizes. Prizes, donated by Tourism Suncoast members, included accommodation at Volivoli Beach Resort, Wananavu Resort, No Worries Bay and Tanoa Rakiraki, treks with Talanoa Treks and transfer vouchers for Pehicle Tours along with some merchandise courtesy of the Volivoli Boutique. Event organizer Jodie Cunningham from No Worries Bay said ‘The Suncoast Ocean Swim 19 was a great day out for all our members, with strong competition, a wonderful and very safe course and relaxed vibe to the event on a whole. Event organizer Jodie Cunningham continued ‘Suncoast Ocean Swim 19 was our first swimming event as Tourism Suncoast, with all members contributing their time, prizes and special rates for accommodation for the weekend and we’ve all been delighted by the support shown by members, partners and participants to make it a great day for everyone. 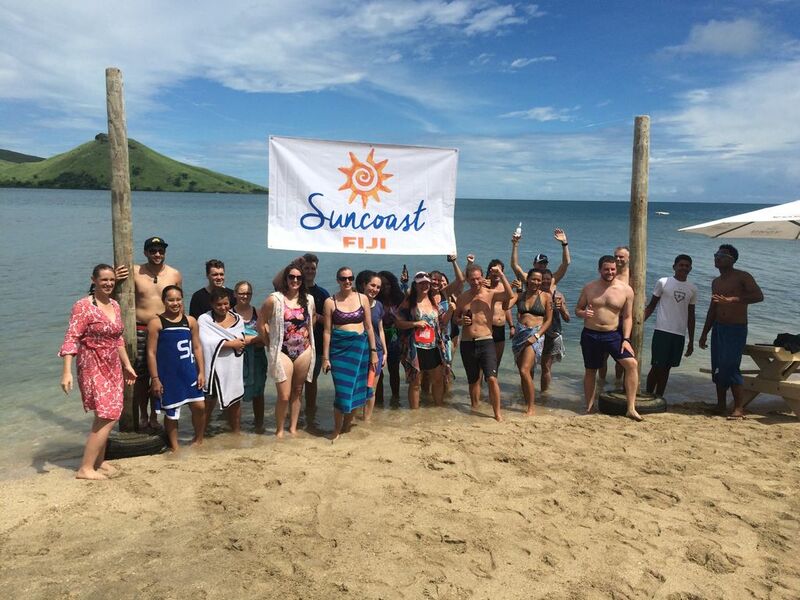 “The Suncoast is a beautiful part of the country, only two hours from Suva and two hours from Nadi without much traffic. 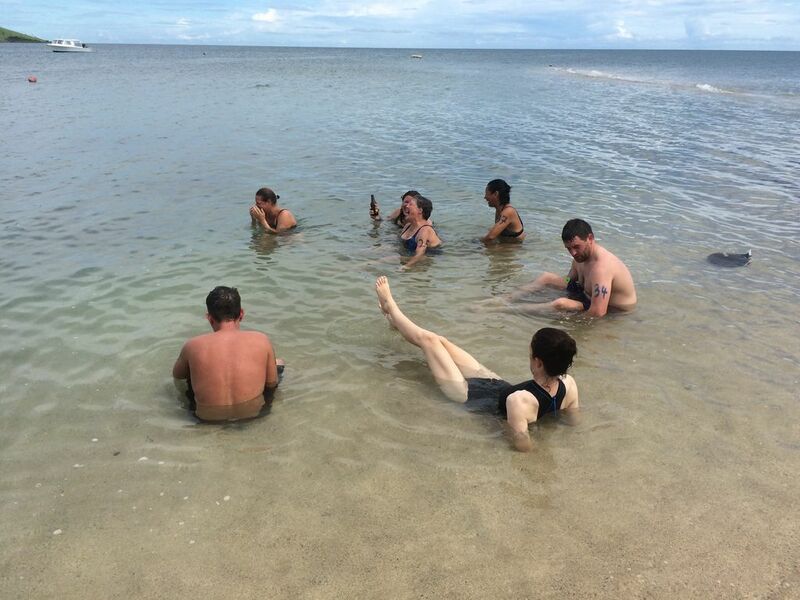 We’re already looking forward to the next one there!” shared Rowena Taito from the Babale Swim Club. In Fiji, ‘Bula’ is more than just a greeting. It’s a wish for happiness, good health and the energy of life. To share the ‘Bula Spirit’ we have created a Bulanaires List launched today on the International Day of Happiness, 20 March 2019. Bulanaires are people from around the globe who are rich in happiness. These inspirational people are being recognised as Bulanaires with the vision that they will share their happiness and the Bula Spirit with the world. The 2019 Inaugural Bulanaires include representatives from Fiji, Australia, New Zealand, USA, Asia, India and Europe. Meet our inaugural Bulanaires – the people rich in happiness! 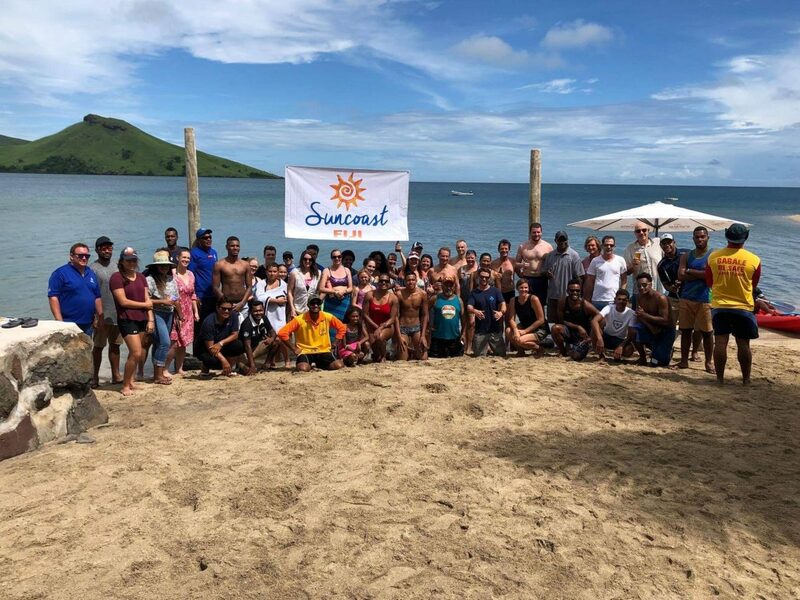 On the International Day of Happiness, 20 March 2019, we are very excited to help launch Bulanaires on Fiji’s Suncoast. A Bulanaire is someone who is rich in happiness. Anyone can be a Bulanaire, its a mindset. It is a list celebrating people from around the globe who are rich in happiness, those that reflect Fiji’s ‘Bula Spirit’. It’s a creative twist of the popular billionaires lists that are globally distributed around the same time as the International Day of Happiness. The people on this list are being recognised as ‘Bulanaires’ with the vision that they will share their happiness with the world. “We think the world is talking about happiness the wrong way, you’d notice that in the happiness polls of countries, Fiji often doesn’t feature in the top 10, 20, or top 50. “In fact in the recent United Nations 2018 World Happiness Report, Fiji did not feature in the top 150 countries as a measure of happiness. “That’s because in their measure of happiness they are talking about wealth and GDP but we all know that money doesn’t necessarily make you happy and that’s what we want to change. “So taking inspiration from Forbes magazine’s list of billionaires, we’re going to start our own list — a list of our Bulanaires. The registration process is now closed for the Suncoast Ocean Swim 19. Any registrations received from the 19th March onwards will only be accepted subject to the race organising committee. In Fiji, just one word captures it all – BULA! In Fiji, Bula means much more than hello. Try saying it when you get here and be a part of the Bula spirit. Book Great Flight Offers With Fiji Airways And Save! *Conditions: Price per person (pp) correct as at 07 March 19 and may fluctuate if surcharges, fees, taxes or currency change. Price based on cash payment. A fee of FJD$10pp applies to credit card purchases for international flights or FJD$5pp for domestic flights. Service fees may apply for other forms of payment. Must purchase instantly once booking confirmed to avoid cancellation. Non-refundable. Strictly limited seats available. ^Discount based on lowest year round economy fare and does not apply to taxes and surcharges. Wananavu Beach Resort is ideally situated on the northern most point of Viti Levu, for participating in the Suncoast Ocean Swim 19. Accommodation at Tanoa Rakiraki in a Superior Room for one person including full buffet breakfast and dinner (chose one meal from the All Day menu), and with Free Wifi . Rate quoted is in Fijian dollars and is for 1 person in a Superior Room. Extra person charged at F$60 per night. Late checkout is based on availability. Only valid for travel during March 2019. Must book and pay by 28 February 2019. 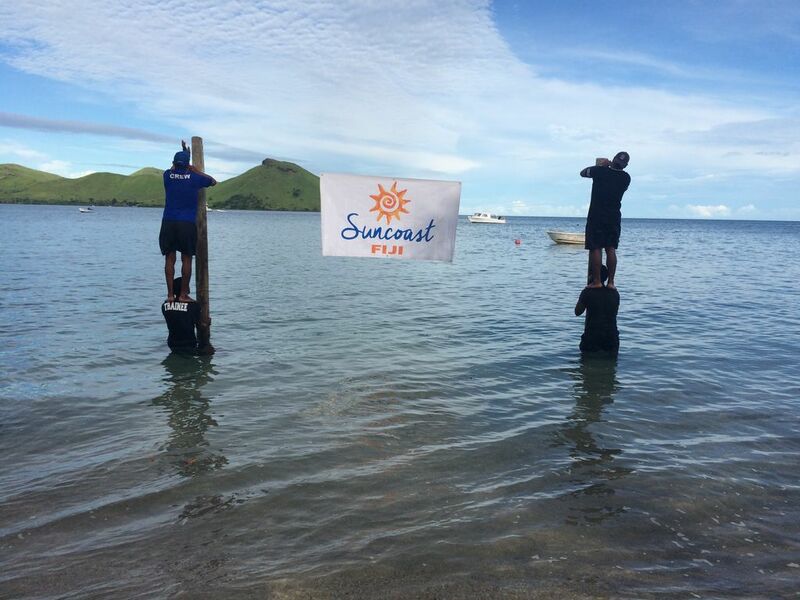 Come on up to Fiji’s Suncoast to our inaugural Suncoast Ocean Swim 19 event on 23rd March 2019. Join us at Volivoli Beach Resort on Fiji’s Suncoast for an epic swim experience. There are distances for everyone and local accommodation with packages especially for you. BBQ lunch is included with registration (vegetarian options included), an evening social event and some great prizes up for grabs! 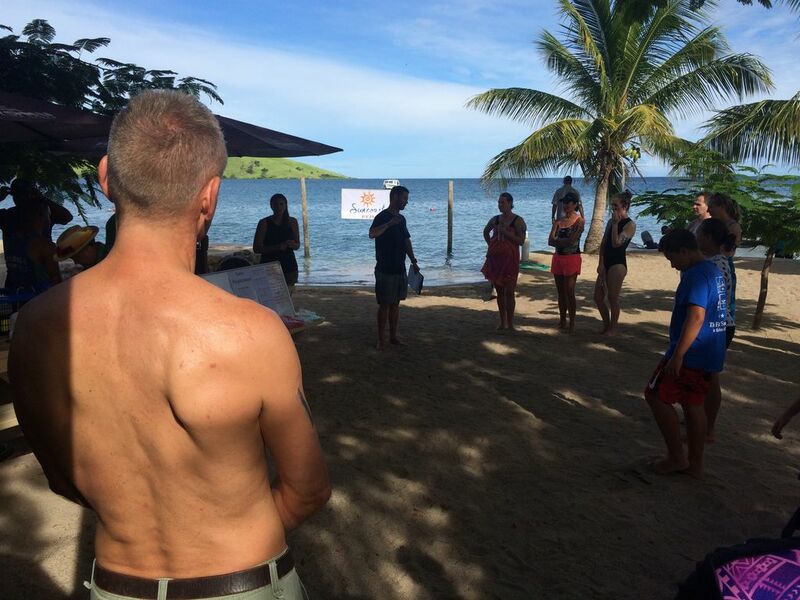 Join us for your next Fiji swim challenge! Show up when it’s time for the event! Wananavu Beach Resort from $150. Ever felt so happy you wanted to burst into song? You will when you visit Fiji.